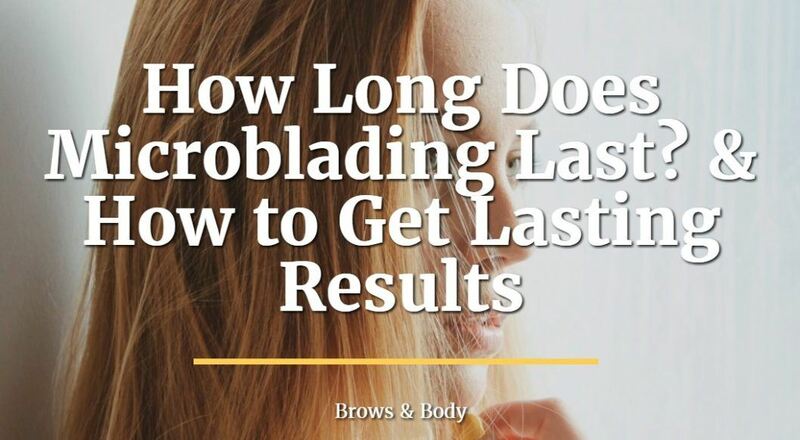 >> How Long Does Microblading Last? & How to Get Lasting Results! 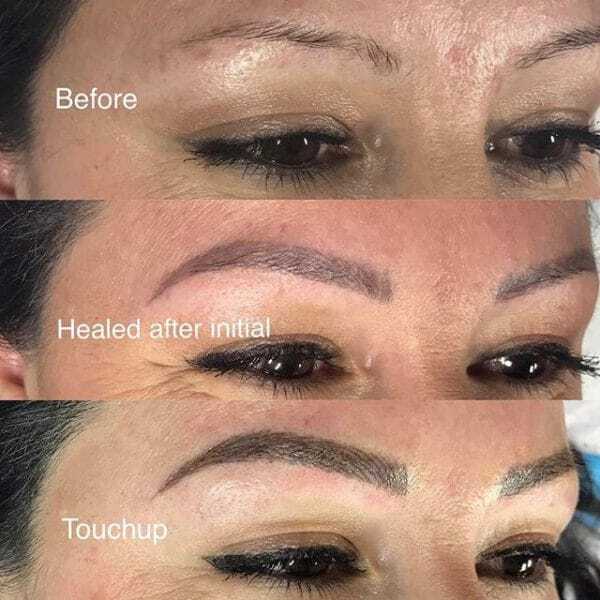 One of the biggest advantages to doing microblading is that you get all of the advantages of a tattoo without the permanent aspect. 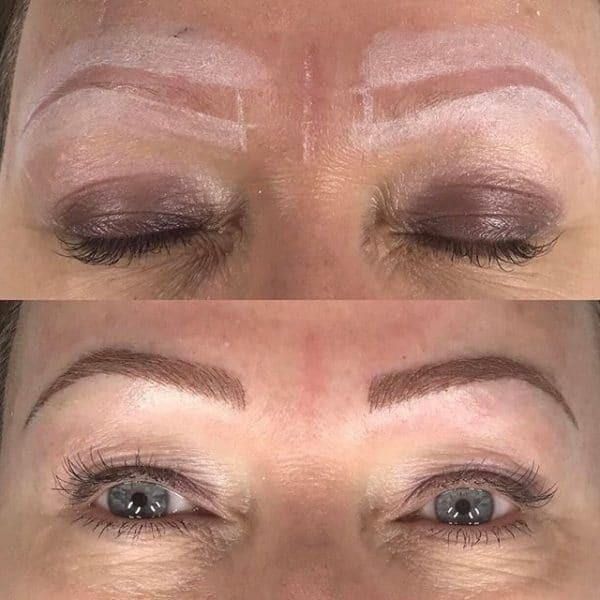 That's why microblading is considered to be semi-permanent. And by semi-permanent I mean it lasts about 9 to 15 months. The microblading procedure involves placing pigment in the dermal/epidermal junction which makes the pigment stay there, but not forever. ​One of the benefits of not going as deep as a tattoo is the fact that it WILL eventually fade over time. Which can be helpful if you decide you don't want to continue with the brows after 1-2 years or decide you want to change colors. This client started with a small amount of natural brows but we were able to create basically a whole new set in a matter of hours. But how can she maintain these amazing results? ​By following these simple rules you can dramatically increase the longevity of your results. If you don't follow these rules then you will still have results, but they may fade sooner than you anticipate. What factors will reduce the length of your results? Some factors are in your control, and others may not be. By following the recommendations above and by controlling the factors listed in this section you can make your results last for as long as possible. In the middle section you can see before her touch up that she retained about 85% of her pigment, but there is a huge difference in her brows after her touch up. How Long will Microblading Last Without the Touch up? The touch-up is an extra procedure which actually helps solidify your shape and helps the procedure last a significant amount of time. But what if you don't want the touch-up or what if you can't afford the touch up? What then? Well, unfortunately that will definitely reduce the amount of time that your brows will last. If you do NOT get the touch up then you can expect that your brows will probably only last anywhere from 2-6 months (depending on other factors such as oil production as so on). So compare the 12-15 months WITH the touch up to the 2-6 months WITHOUT the touch up. Because this difference is so big I recommend that if you are serious about getting your brows microbladed that you always get the touch up. What if I want my Brows to Fade? But what if you want your brows to fade? What if you don't like your brows or are unhappy with your results? Will they still last the 12-15 months? If you are unhappy with your results and actually WANT to fade them, then you can take several steps to help this process along. By using certain steps, which I've outlined here, you can reduce the time that the pigment stays in your skin by months. You can usually help your body push out the pigment over the course of 3-6 months depending on how aggressive you want to be. I don't recommend that you jump into this though unless you are 100% certain that you DON'T love your brows! So make sure you understand what you are getting into if you decide to fade them quickly. As always, if you plan on getting your brows microbladed make sure you find the perfect stylist for YOU. Make sure you look at their work and you find that their style fits your needs. If you have questions about microblading, about getting results or about my process please leave your questions below! I am happy to help guide you, even if it is to another stylist.